A quick note to share with you all one frame from a midnight walk in Marina Bay area, Singapore, last weekend. In the foreground is the DNA bridge, and on the far right is the casino-expo-shopping mall. I pushed down the meter by 1²⁄3 stop to reduce the lights. Tripod mounted. The camera’s electronic level was used. More stories along the way sometime next week. 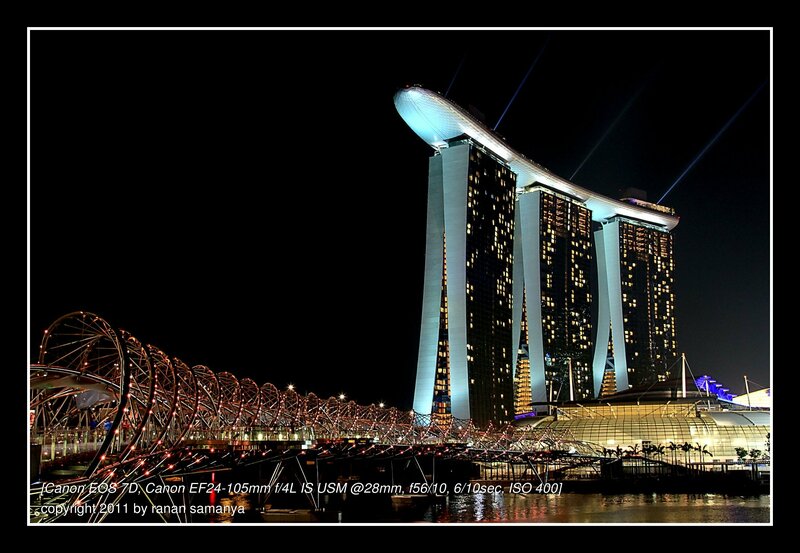 Nice shot of the Marina Bay Sands!